Houle and Associates is a premium chartered professional accounting firm based in the Ottawa area. Our team of accountants are experienced, knowledgeable, and available when you need them. We pride ourselves on providing each and every one of our clients with custom tailored solutions for their tax and financial planning needs. It is our focus to develop strong, long lasting relationships with all of our clients. By understanding your goals and objectives, we can help you plan for continued and long lasting success. We at Houle and Associates Chartered Professional Accountants have taken great pride in serving satisfied clients coast to coast. The majority of our clients are located here in the Ottawa area. Contact Houle and Associates Chartered Professional Accountants if you are looking for a professional firm with the knowledge and experience to provide the reliable tax and financial planning services you require. 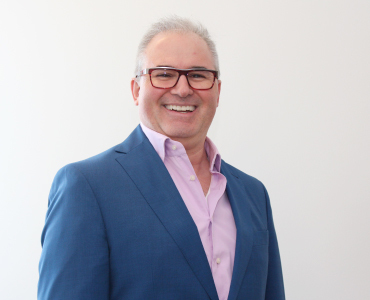 Norman (Norm) graduated with an Honours Bachelor of Commerce degree from Laurentian University and subsequently obtained his CPA, CGA designation. A recognized accounting and tax specialist, Norm brings over 20 years of progressive experience leading private and publicly held companies in senior management and controllership positions. Norm has gained experience in various industries; such as information technology, aviation, office furniture, and construction. He was also successful at international accounting software sales. Norm has since decided to put all his efforts into building the firm: Houle & Associates Chartered Professional Accountants. Wenjun has many years of enriched experience in accounting and taxation. She has worked as accountant, financial officer, and tax advisor for companies in China and Canada. Prior to joining Houle and Associates CPA, Wenjun spent eight years as a senior accountant in a CGA CMA firm in Ottawa. Wenjun enjoys providing high level professional services to each of our clients. Wenjun holds a Bachelor degree in Beijing University of Aeronautics and Astronautics, and obtained the occupational qualification of Accountant in China, has completed the Professional Accounting Program at Algonquin College, and she has been involved with the free income tax preparation service for seniors, new immigrants and low-income individuals since 2004. Wenjun is currently enrolled in CPA program. Mihaela graduated from “Al. I. Cuza” University, Iasi, Romania, with a B.Sc. degree in Mathematics. She became a Certified Teacher, and pursued a successful teaching career for 12 years. After immigrating to Canada, she obtained a college diploma in Accounting (2007), along with the designation of Payroll Compliance Practitioner (PCP) from the Canadian Payroll Association. Since joining the firm, Mihaela has taken on the role of senior accountant, with a focus on corporate tax and financial statement preparation. She is also able to assist clients with personal tax and controllership matters. Mihaela develops with ease, professional and trusting relationships with our clients. Sunny completed his undergraduate studies in Commerce from Laurentian University and is currently enrolled in the CPA program. Prior to joining Houle and Associates CPA, Sunny lived in Toronto and worked as a Financial Analyst, Accounting Manager and Senior Accountant. He gained experience in various industries including government, property management, manufacturing and private career colleges. Since joining the firm, Sunny has taken on the role of a Senior Accountant, focusing on the preparation of financial statements and corporate income tax returns. Sunny is proud to provide high level professional services and develop trusting relationships with our clients. Julie assisted her husband with their small business before she began working for Norm in 2008 as Accounts Receivable clerk for an office furniture company. In 2012, Julie was asked to join as Executive Assistant. Julie now works with Norm to grow the firm Houle & Associates Chartered Professional Accountants; demonstrated through her commitment to providing excellent customer service and loyalty in assisting both our clients, and team. She is the friendly voice that will most likely greet you when you call Houle & Associates CPA. Our Accounting Professionals serve clients in Ottawa, Kingston, Toronto, and all across Ontario.